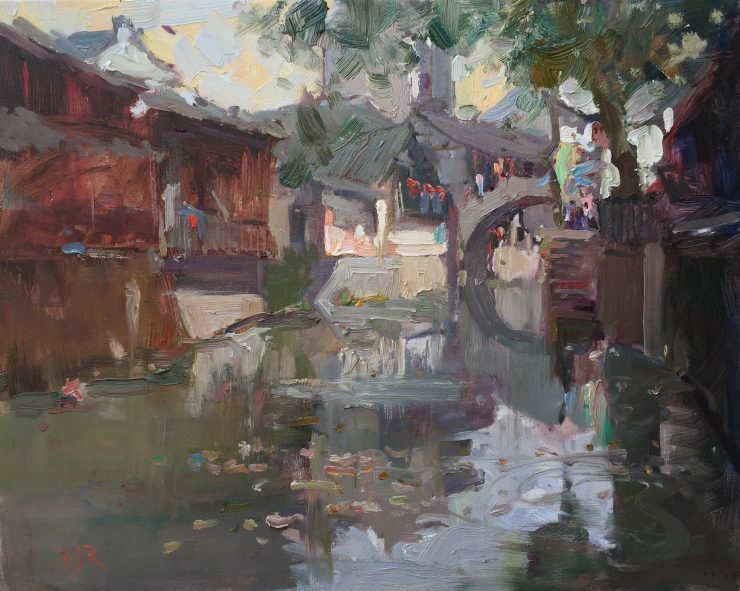 Here are some paintings I did recently in Xinchang, an ancient Chinese village on the outskirts of Shanghai. I was taking part in an invitational paint out with five American and five Chinese artists, amongst whom were my good friends Ken Cadwallader and Kevin Macpherson, two very fine painters. It was an interesting week that culminated with an exhibition in a beautiful historic building in the center of the old town.